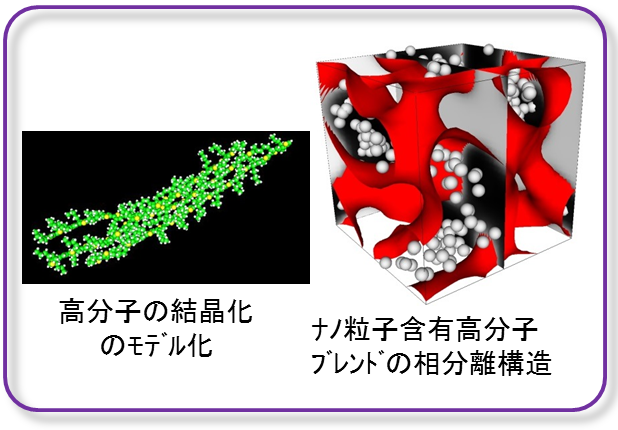 In multi Scale Softmatter Simulation Team, structure and dynamics of soft material is studied using coarse-grained model and multiscale techniques, which have been realized in OCTA system. Fig.1: Examples of interfacial modeling(left adhesion, right self organiation film). Interface between solid and polymer is modeled based on coarse-grained model, and analyze the mechanical strength of interface. 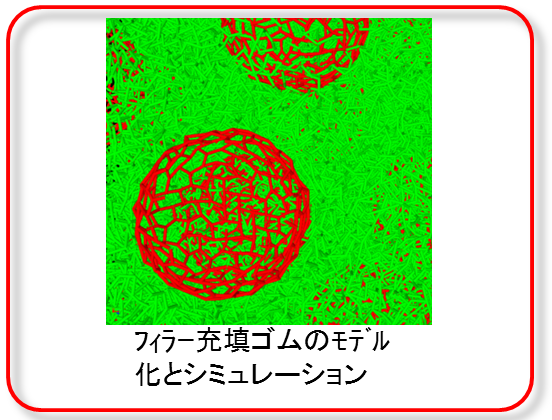 This study is applicable to the design of adhesion. Fig.2: left and right figures show the collaboration with TEMT and PALS, respectively. 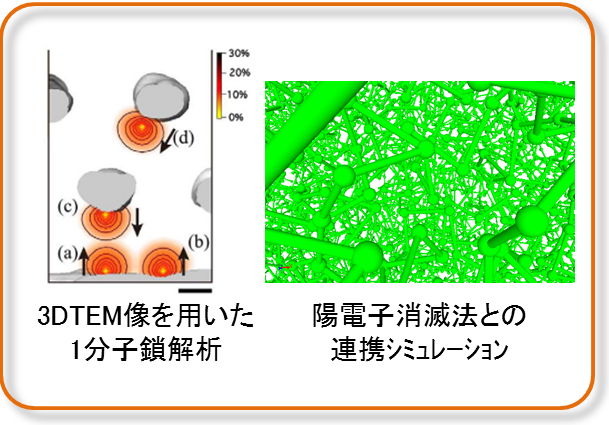 Collaboration with experiments such as TEMT or other observation tools is performed to analyze the soft materials. Detail information can be obtained from the simulations on TEMT images. 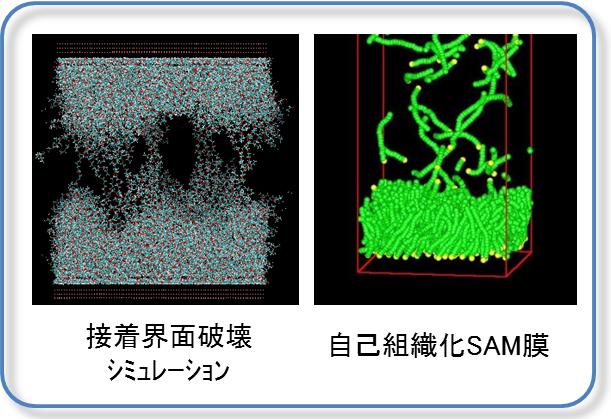 Fig.3: Examples of modeling studies of crystallization and filler filled phase separated structure. Coarse-grained model and Multi-scale techniques are developped to simulate the soft materials precisely. Fig.4: Snapshot of filler filled rubber material. We hosted the consortium "Simulation study of rubber and erastomers," and developed the simulation and analysis techiques of rubber materials.